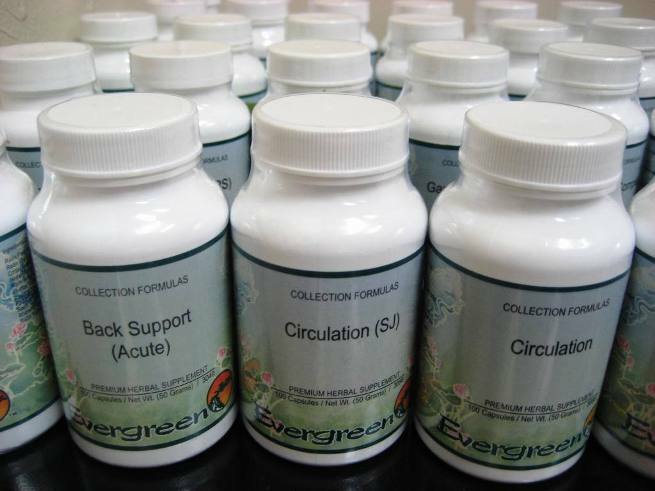 Herbal extracts are the “essence” of bulk herbs. Through a long and sophisticated process, the active components in bulk herbs are condensed into herbal extracts following pharmaceutical-grade GMP procedures. As finished products, herbal extracts are at approximately 5:1 ratio which means five pounds of premium raw herbs yields one pound of concentrate. Why Should I Choose Herbal Extracts Over Herbal Decoctions? Though effective, herbal decoctions have two major disadvantages. They are time-consuming to prepare and sometimes have an unpleasant taste and smell. Most people do not have time to prepare herbal decoctions and even more people dislike the taste and smell of herbal decoctions. Herbal extracts, on the other hand, are ready for immediate administration. For people who dislike the taste of powdered extracts, they are also available in capsules. What Is The Recommended Dosage For Herbal Extracts? The recommended starting daily dosage for an average adult is 1.5-2 grams 3 times a day (1 to 2 Evergreen spoons or 3 to 4 capsules, taken on an empty stomach in two or three equally-divided doses). This standard dosage may be increased or decreased depending on the patient’s individual factors, such as age, body weight, type of illness and severity. Please ask your practitioner for details. All extracts from herbs are derived from nature. They do not contain harsh chemicals, alcohol or preservatives, and are very gentle to your system. Each batch is checked for safety against bacteria, fungus and heavy metal. Nonetheless, sensitive patients may experience reactions such as minor stomach discomfort. If such reactions occur, reduce the dosage, take with food, or modify the herbal formula. How Should The Herbal Extracts Be Served? Herbal extracts should be taken with warm water on an empty stomach two or three times daily. If the patient experiences stomach upset, serve the herbs after meals. Herbs should not be taken with coffee, juice, soda or any other liquids as they may alter the effect of the herbs and possibly produce unwanted results. Can I Take The Herbal Extracts With My Prescription Drugs? Most herbal extracts may be taken by individuals who are also using prescription drugs, without problems. However, it is recommended that herbal extracts be taken on an empty stomach at least two hours apart from the prescription drugs. Please inform your healthcare practitioner if you are on any medication so he or she can best advise you what to do to avoid possible herb-drug interaction. Can Children And Elderly Patients Take Herbal Extracts? Yes, children and elderly patients may take herbal extracts. In fact, they get excellent results. The dosages, however, must be adjusted for each patient depending on age, body weight, specific illness and overall condition. In general, herbs are not recommended during pregnancy. However, consult your healthcare provider to see if the benefit of using herbs can outweigh the risks. How Should I Store The Herbal Extracts? Herbal extracts should be stored in cool, dry places away from sunlight and moisture. The UV radiation in sunlight may change the properties of the products. Storage of herbal extracts in a damp or humid environment, such as the kitchen or the bathroom, may lead to “caking” of the powder due to excess moisture.